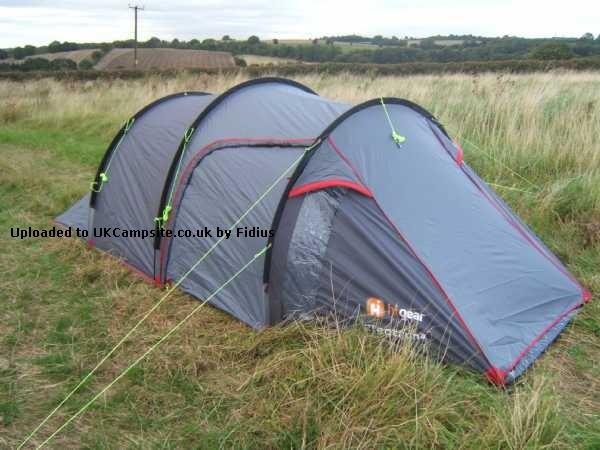 Brilliant tent, I have used it loads of time and quite a few times in very strong winds and very heavy rain. It has not leaked once and it has held up in the wind very well. The porch area is brilliant and provided loads of space for our stuff. It is not attached to the outer bit of the tent so I had a slug problem, but this is also good as it means it is easy to clean. It is also very easy to put up, I can do it on my own in 15mins and that is even in the rain and wind. It is really good that the inner is not separate so if you are putting it up in the rain the sleeping bit doesn't get wet. I got it in a Go Outdoors sale, so I paid less than half price of the retail. 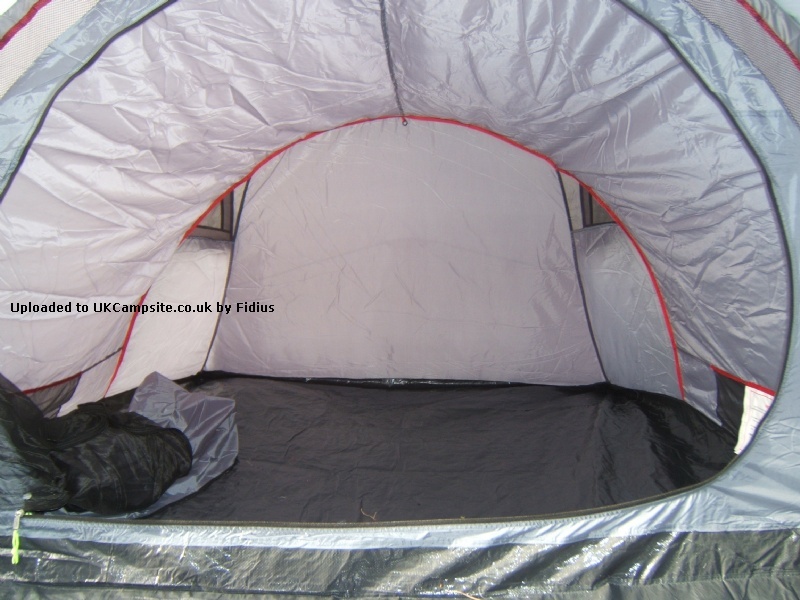 We have used this tent 3 times up to now and thinks its a great overall tent the only thing I can give as a negative is the porch area not being all enclosed in there is a 2 inch gap from the ground sheet. Last night the tent was rain tested as it was torrential rain for over 2hrs solid and not a drop came in. Love the way the bedroom section is built in no faffing around when putting up the tent. It also has 2 small windows in the porch area next to both of the doors again a added bonus when sitting in while raining. I have just used this tent for the first time, with 3 people all on single air mattresses (yes 3 fit (just!)) but found that in 10 mph winds and heavy rain, the zips on either side are subject to leaking. However saying this, it stood up to whatever mother nature threw at us that night and is a brilliant 3 man tent. Very roomy and not too expensive. We've only pitched this tent three times so far but each time has been very straightforward, only really taking about 15 minutes - and that's with the enthusiastic help of a three year old! We only use it for weekend camping but there's enough room in the sleeping section for a double air bed for me, husband and our daughter, and a reasonable amount of storage space in the front living area. Whilst you can't stand up in the front bit, you can sit in a deckchair. The weather has been pretty good on the trips we've had so the tent's not really been tested, it's stood up to drizzle with no leaks, and moderate winds with no problem. The sleeping area has a sewn in fly sheet which is good for keeping out bugs and draughts, it's a bit of a shame that the porch area doesn't have this too as it did end up bug filled on our last trip. I can't remember exactly, but I don't think we paid much more than fifty quid for it in Go Outdoors sale, and I think it's quite a bargain starter tent at that price. These pictures are my first ever pitch of this tent and straight out of the bag so I have not had chance to use it yet,took me about 20 mins on my own to pitch which is great for a novice like me :) My first impressions are how roomy it feels for a 3 man tent,i will be camping in it this October so I'll let you know how the tent shapes up. Add your review of the Electron 3! With ample space for sleeping, storage and fun, the Electron 3 tent is great for three people going for some weekend or low-level camping, who want a no-fuss, trouble free camp. The all-in-one pitching system gives you an easy solution to any dreaded pitching struggles. 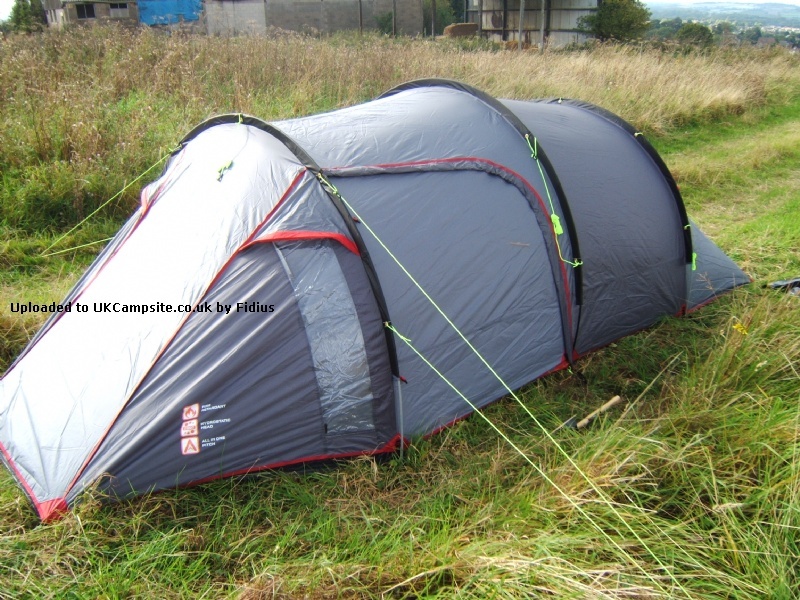 The inner is attached via a mesh system to the outer flysheet, so once the outer has been erected and pegged, the inner is automatically up and you're ready to camp. 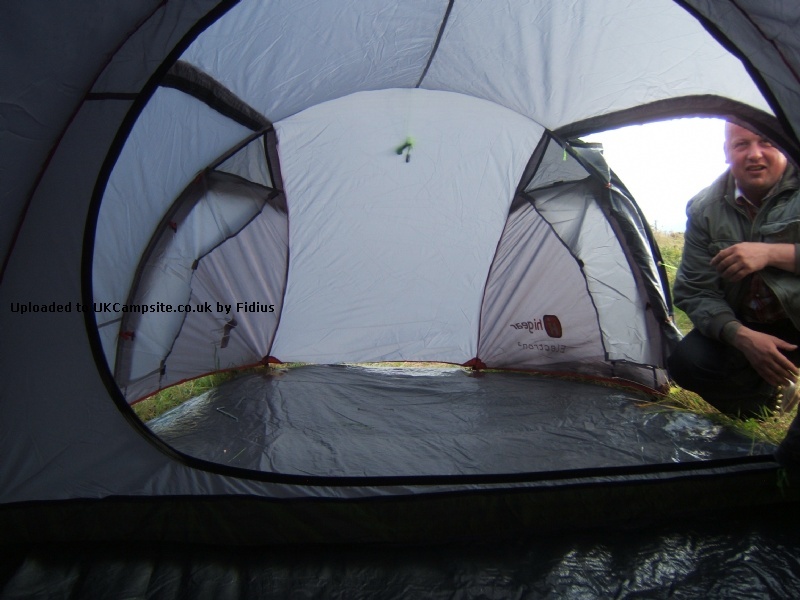 The groundsheet is also attached to the inner and fly, so you're completely protected from draughts and wet ground. The large front area gives you plenty of storage space, and is accessed from both sides by the two large doors, which have rain channels over them to stop drips. 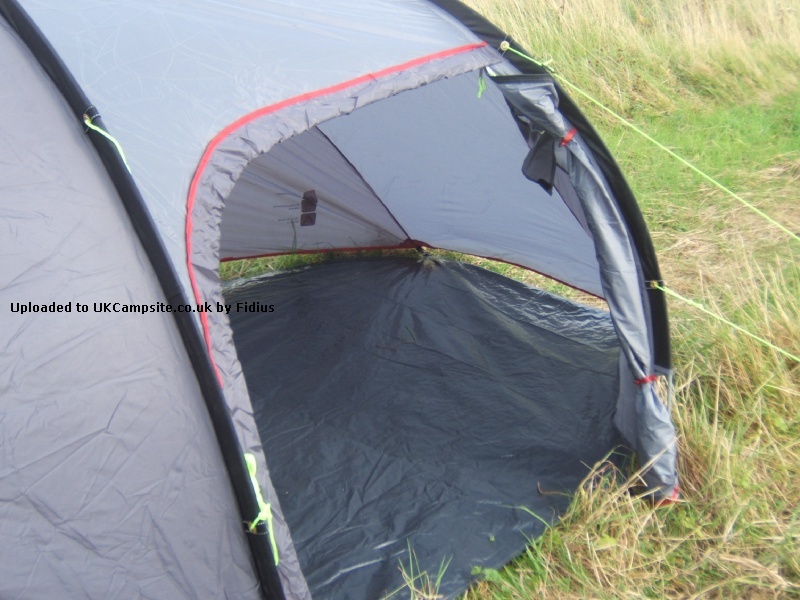 There are ventilation options with the doors and 2 front vents, but if it gets too windy the tent is double-guyed for extra stability. 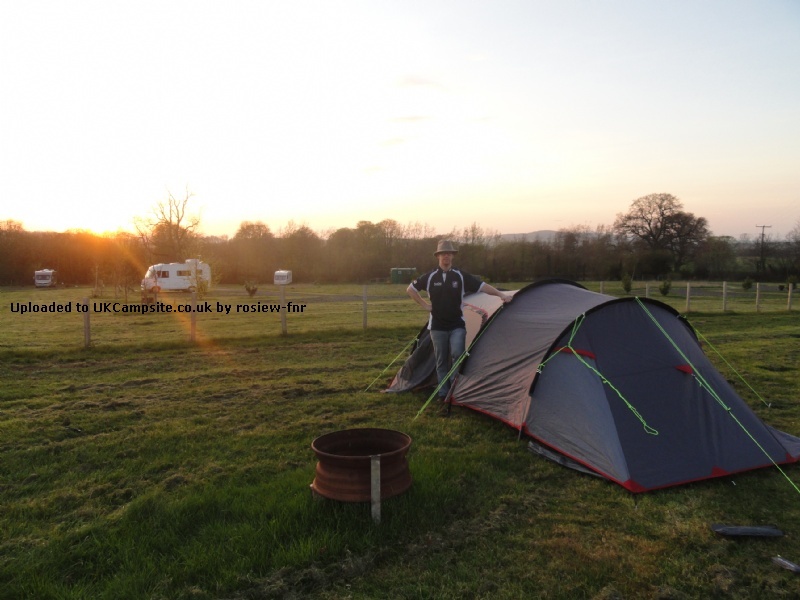 The guylines themselves are bright and reflective to help you find the tent in the dark, and to stop other people from tripping over them on a crowded campsite. 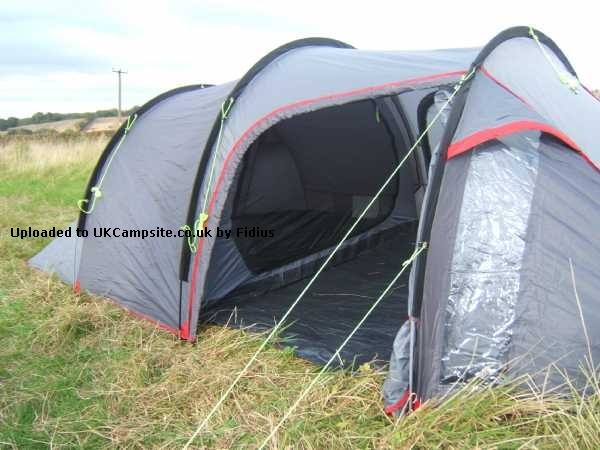 It's a comfortable and practical tent for festivals, weekends away or any fun camping trips.